It works as a WordPress plugin, in fact, it is a powerful and neat WordPress plugin. The user has no need to know much, the setup is as easy as a few clicks and the automatic updates WordPress style may be accessed by activating the plugin with your licence key, which was given with your purchase. Which are the benefits of a CRM? CRM practically benefits all company areas, including sales and support, financing, HR forecasting, production, R&D and logistics. Help a company’s marketing department to identify and choose their best customers, to manage marketing campaigns and to generate quality opportunities for the sales team. Help the organization to improve telesales and account and sales management by optimizing information shared by multiple employees, and streamlining existing processes. Allow the begining of personalized relationships with customers, to improve customer satisfaction and maximize profits; identify the most profitable customers and offer the highest level of service. Provide employees with the information and necessary processes to get to know the customers, to understand and identify their needs and build relationships between the company, its customer base and distribution partners. Adds an event assigned to a vendor who will follow the potential client. The event is identified by a title and a description. Assigns dates “from” and “to” for the event and assigns alarm time which automatically triggers an email to the assigned seller as a reminder of the meeting. 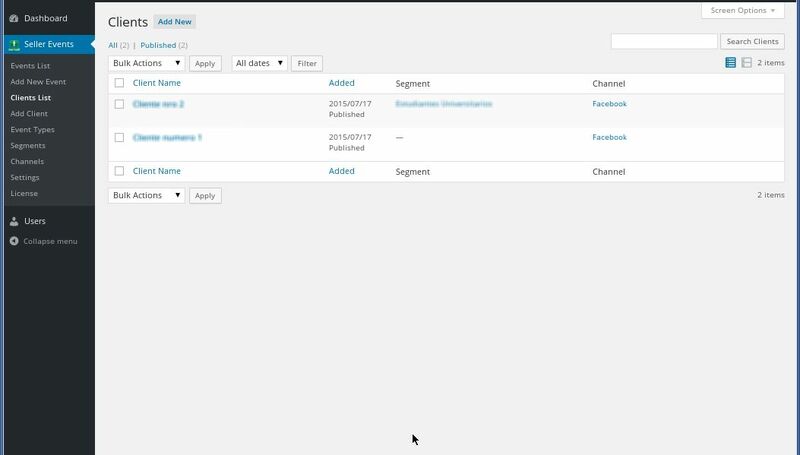 The Seller or Supervisor can load partial comments to every event to keep results being obtained, it can also generate a related event to continue monitoring the customer with a new meeting. It has an event list which may be organized or filtered by name, date, type, provider, customers, etc. It also has a list of users with searches and filters. 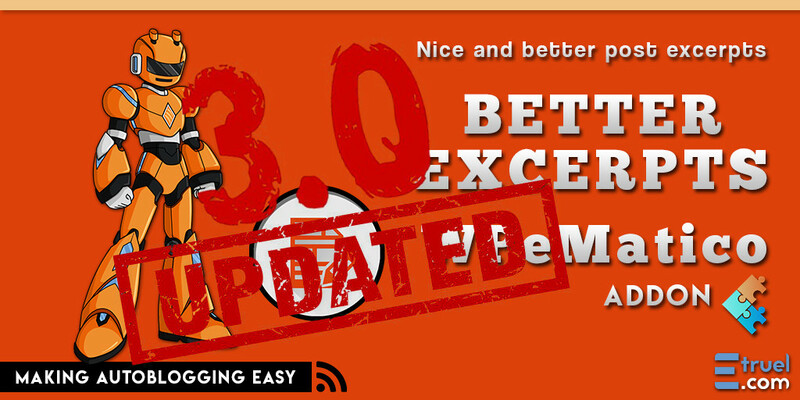 Easy and intuitive Client loading and editing, just like standard WordPress’ entries. Image (customer’s photo or logo) and personal data. Professional section of each client. Channel by which the customer was known/contacted. 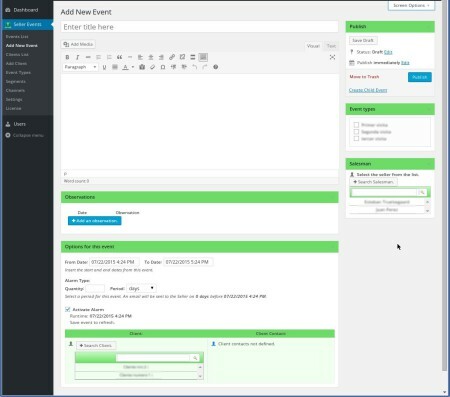 Event description, with a “Word” type editor, which allows text, html and loading of multimedial content, images or videos. It allows to add comments with date and time to describe the partial results and other details obtained from the meeting. Alarms sent via email to designated vendors for the event, at the appropriate date and time. Event types with pre-definitions of periods for filters and alarm triggers. Typing sequential search to easily find customers and customer’s contacts in the event. Sellers can post their own events. 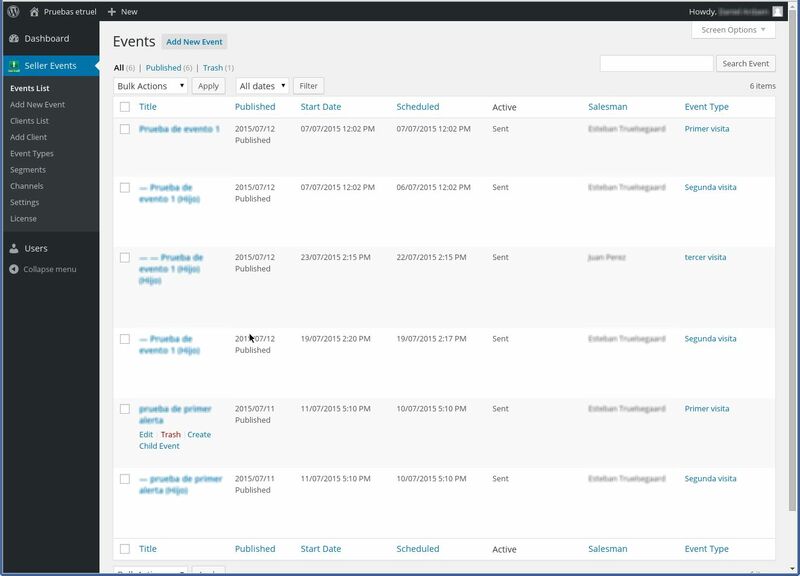 Supervisors load and assign events to sellers with sequential search. Uses the WordPress Cron to send emails alerting the seller of the next event. 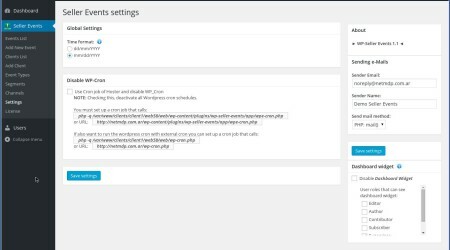 Its possible to set an external cron if a WordPress cron is not being used. 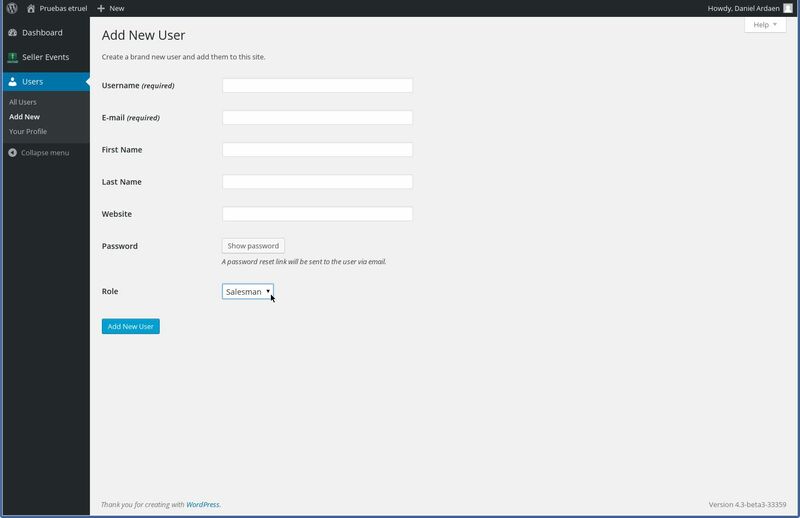 Allows to customize the sender’s username and email address to send emails from the system. Allows to set the email sending by PHP mail() or SMTP Server. It sets the date format and roles the widget shows with the summary of events in WordPress Desktop. System operation is performed by designated supervisors or vendors with WordPress’ defined roles; each role with restricted access.The Supervisors see everything related to CRM system and vendors see their clients and events with the possibility of editing and uploading. Supervisorwith access to all the Seller Events’ system. A Supervisor can add and edit new users only with Supervisor’s or Seller’s profiles. Seller with access to add and edit their own clients and events. They can only see the users’ list, sellers and supervisors and edit their profile data. El The Administrator of WordPress has access to the entire system. NOTE: You can use one of several free plugin in the WordPress Repository to change the access permissions of the user’s roles. Spanish and English languages are included. Fully translatable into other languages. .pot File is included with the texts to be translated from English. The language used for system setup is taken from WordPress configuration if available, otherwise, English is used. When you buy the plugin, a licence key will be provided to you, which allows you to access technical support and the plugin’s automatic updates from the Plugins’ page of your WordPress site.If the license is valid, WordPress will display a notification to the administrator, to upgrade to the new available version with a single click! PHP 5.3 or greater is required.